The SpectraAlyzer DAIRY analytical solution presents the analytical results of all major quality parameters in milk and dairy products and is easy to use. The multi component analytical results can be obtained at various stages of the processing chain. Major quality parameters such as moisture, protein, fat, sugars, starch, acidity, salt and ash can be analyzed simultaneously with results very close to the respective wet chemistry methods. The instrument comes with pre-installed calibrations which can be fine tuned with our software package Application worx G2. The modular design of the SpectraAlyzer DAIRY system adapts to all sample types: powders, solid and pasteous products as well as liquid samples. 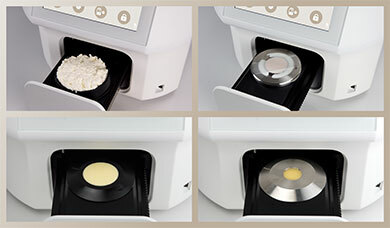 For instance, milk powder can be analyzed in a closed cup sample container while hard cheese is analyzed in a specifically developed cheese cup. 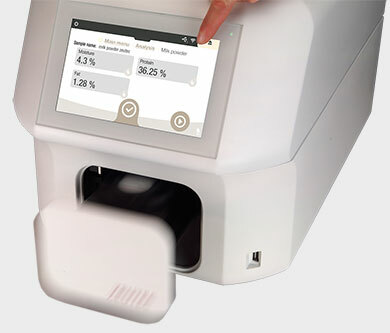 Easy sample preparation and presentation combined with the fast instruments’ scanning procedure deliver quickly the multi component concentration results. 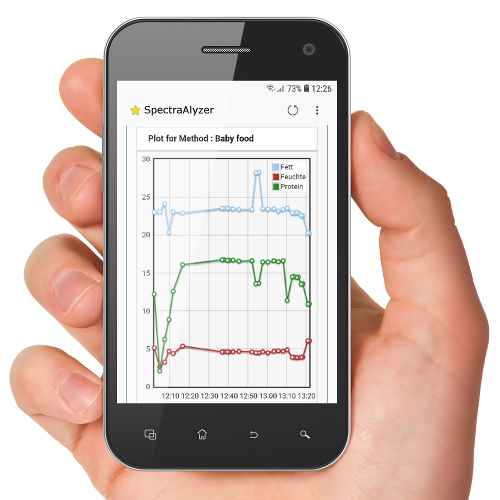 The SpectraAlyzer DAIRY is an all-in-one instrument where connected intelligent accessories are controlled with the integrated instruments processor. The analytical performance is independent of the sample temperature, so that even warm or cold process samples can be analyzed as is. The SpectraAlyzer DAIRY saves all data on an integrated SQL database. 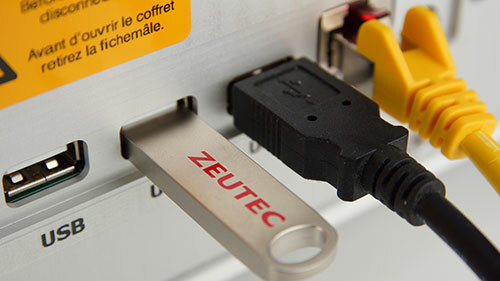 Connected to the companies LAN or the internet the integrated web server enables the data access and instrument control from virtually everywhere – anytime. Fit for LIMS, IoT and Industry 4.0! Moisture, fat, protein, lactose, total solids, casein, titratable acidity can be determined in liquid milk. This ensures the use of an adequate milk for producing high quality end products with a longer shelf life. Fat and SNF standardization is important for ensuring that the downstream process is standardized with minimum variations. Different levels of fat are required for whole milk powders and skim milk powders which can be determined with the SpectraAlyzer DAIRY. Moisture determination in the dried product ensures the rapid monitoring of the drying process and guides the operator to control the process in regard to the desired product specification. Moisture, fat, protein, lactose, ash, acidity, solids not fat, total solids measurement with the SpectraAlyzer DAIRY ensures good and consistent quality according to the set product standards. Complete quality assessment of the incoming cream facilitates the production according to the desired product specifications. The cream is standardized to the desired fat content important for the final product quality. The churning process can be optimized by measuring the correct moisture and fat content with the SpectraAlyzer DAIRY. Moisture, fat, SNF, total solids, protein, free fatty acids, peroxide value and refractive index measurements with the SpectraAlyzer DAIRY allows final product quality control. Incoming milk is analysed for fat, protein, lactose, SNF, density, titrable acidity, casein and ash content. This ensures the usage of a raw material composition according to set standards. 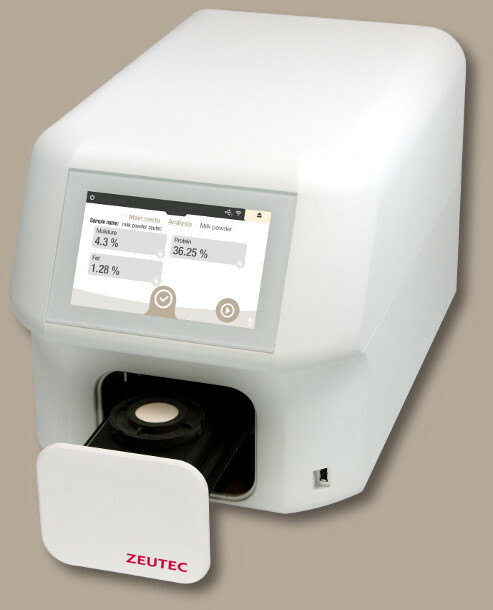 The SpectraAlyzer DAIRY as a fast analyzer is used to standardize the milk fat, protein and SNF content. The cheese making process can therefore be initiated more quickly. The moisture content determination with the SpectraAlyzer DAIRY is important to adjust and monitor the cheese making process during pressing. The salt content strongly affects the growth of bacteria during the ripening process. This salt content is measured in almost no time with the SpectraAlyzer DAIRY. The ripening process can be monitored with the analyzer by determining the moisture, free fatty acid and soluble nitrogen content. For good and consistent quality in the final product as per set specifications, the fat, moisture, casein, SNF, salt, titrable acidity and dry matter can be determined with the SpectraAlyzer DAIRY. 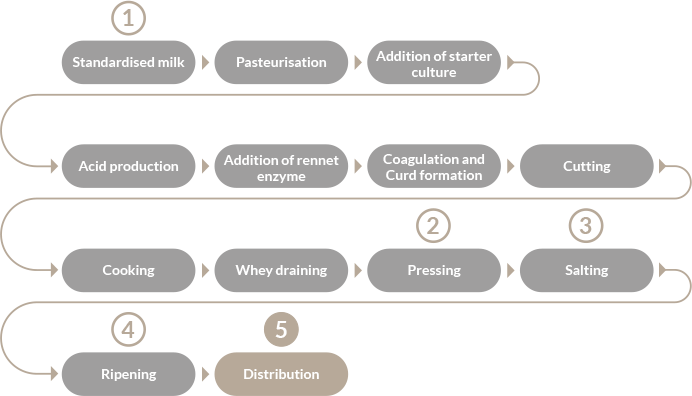 The fat and protein content of the milk is standardized to create the desired end product. Different levels of fat are required in different products (non fat, light fat or whole fat yoghurts). The protein content is also standardized to reach the level needed for reducing syneresis. The fermentation process can be monitored by measuring lactose, lactic acid with the SpectraAlyzer DAIRY. When the desired acidity level is reached, the fermentation process can be stopped. The fat, total solids, acidity and protein content is determined. The SpectraAlyzer DAIRY is used for the quality control of the final product. Quality control of the raw material composition e.g. 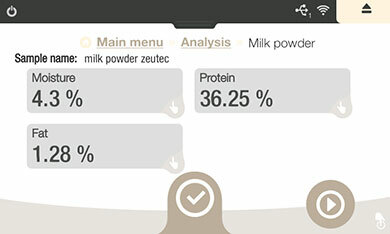 fat, total solids, solids not fat content is performed with the SpectraAlyzer DAIRY. This ensures the desired quality of the end product. 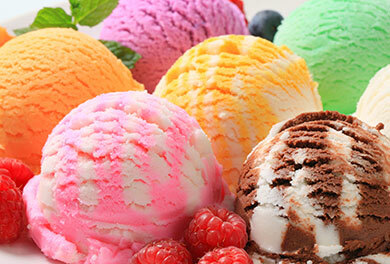 The ice-cream mix is analysed for fat, lactose, total solids, milk solids, solids not fat, protein content and viscosity. The composition of the mix is set as per predefined standards. This ensures the proper quality control of the maunfacturing process. 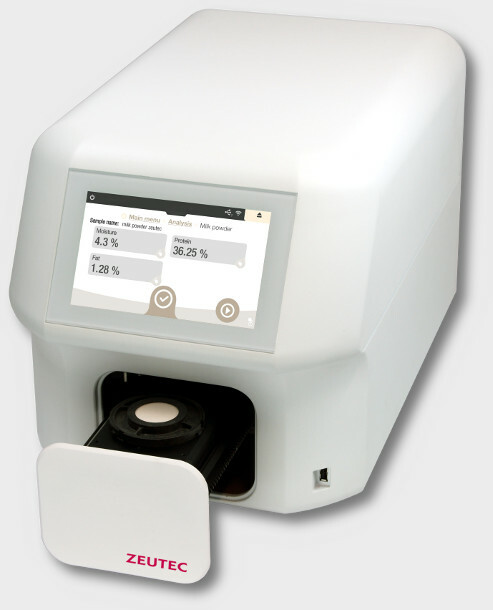 Fat, lactose, SNF, MSNF, protein, carbohydrates and ash content can be measured with the analyzer effectively. Av. De la Libertad 902 Col.
Distribuidora Integral de Análisis Clínicos S.A. de C.V.
TEKNOLOJILER SAN. VE TIC. A.S.
Bio Nutrients (India) Pvt. Ltd.
No.44, Sanei St., Vanak Sq. Copyright© 2018 ZEUTEC. Alle Rechte vorbehalten. ZEUTEC and SpectraAlyzer are registered trademarks.